Is it live, or is it…. With Hearts and Hands and Voices! In Praise of the Sunday Nap! Does anyone have a Swiss Army Knife? Belt tool fans of the world unite! We know who you are–the tinkerers, the inventors, the thinkers, the ones who are prepared for nearly everything! We want you to jump into the mess we’re in and put those belt tools to work to get us out of it. We want you to take bits of duck tape, imagination, faith and know-how and fix it! We want MacGyver! We need MacGyver! Sometimes the problems seem so overwhelming that only the intrepid hero that resolves every crisis and saves the world in 60 minuets will do. Our hero–he knows how to use what he has instead of what he wishes he has to resolve the crisis. At least that is what the Wells Fargo Economics Group says in their August 10, 2011 Monthly Outlook about the way out of our economic mess. Making do with what you have is not a new or trite. It is reality. If you stop to think about it, it is something we do all the time. No staples in the stapler? Use a paper clip. No buttermilk in the fridge? Take milk, add vinegar, wait for 15 minutes. Storm take the power out? Break out the candles and board games. We really do it without thinking much about it–it needs to be done so we find a way to do it. And usually that works! 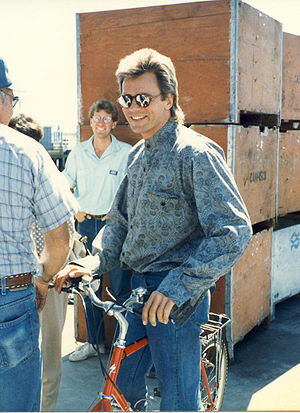 One of the things it is easy to forget is that MacGyver took a moment to notice what there was to work with. He didn’t panic, he got to work. What do we have at hand to apply to the economic mess? Let’s take a minute or two to survey what we have. What we have is very important. The freedom to dream and think in a variety of ways continues to be essential. I read this week that foreign applications to US graduate schools is very high this year. There is a reason for that–we have a deserved reputation for big ideas and folks that believe in their dreams. Who doesn’t want that in their lives? It’s time to take stock of supplies and dream a little. Time to stop worrying about failure and keep trying until we succeed. Time to call upon the tinkerers, the inventors and the thinkers to reveal their big ideas so we can believe in their dreams. We not only want those wonderful visions to come true, frankly we need them to come true. Then of course we need to take out the belt tools and get to work! Previous postDo you watch noir in the dark? Next postIn Praise of the Sunday Nap! Ideas on life, health, family, insurance and friends.